Data audit process, it’s important to know which infotypes have been changed within certain period, who changed records, and what data that changed. You can see any changed log data in an infotype using report RPUAUD00. while executing this program, you can list one or more infotype number that you want to report. You can specify a personnel number if you want to see the changes that a specific employee has made. 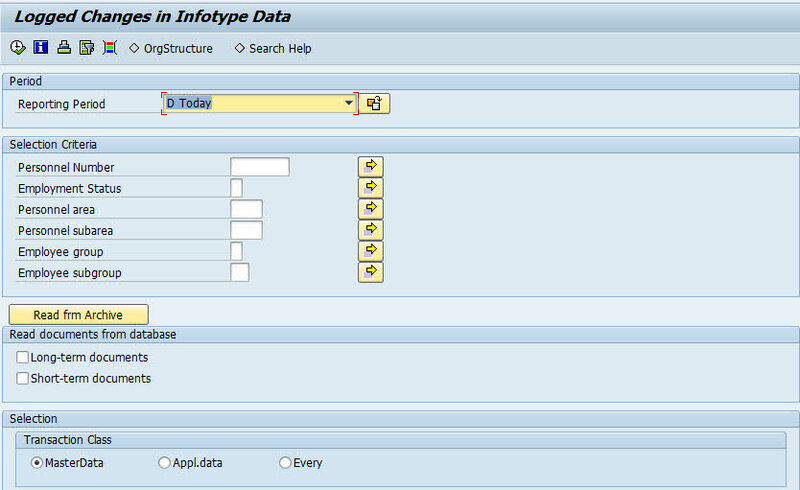 RPUAUD00 can be reported almost all infotypes except infotype 0008. you can execute this report via tcode SE38 or you can follow SAP Menu Path. Human Resources->Personnel Management->Administration->HR Master Data->Info System->Reports->Documents->Infotypes Changes->Logged Changes in Infotype Data. You can enter Personnel Number if you want get report for specify personnel number, select Long-term documents or Short-term documents then click Execute. then you will get report changes logged.